The latest tourism statistics show Central Virginia is not only a great place to live but also to visit. According to data released by the United States Travel Association, the Lynchburg region experienced measurable growth in tourism revenue last year, including a 4.5 percent increase in local tax receipts and a 4.7 percent increase in tourism-related payroll. Total tourism revenue grew by 2.5 percent to over $181 million, and the industry supported 1,697 jobs. “Events such as the Virginia Commonwealth Games at Liberty University, Lynchstock Music Festival and the Genworth Virginia 10 Miler, coupled with strategic sales and marketing efforts by our office, bring an infusion of tax dollars that support local infrastructure and community development projects that help make Lynchburg a great place to live, work and play for its citizens,” said Anna Bentson, Assistant Director for the Office of Economic Development and Tourism. 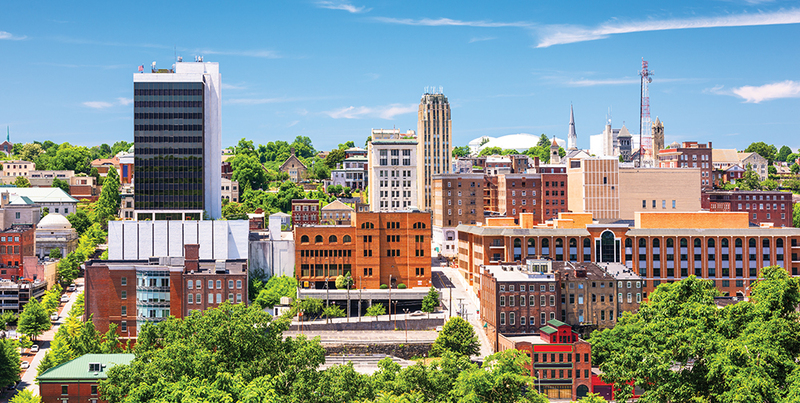 Lynchburg’s growth was part of a statewide trend. The USTA says tourism revenues reached a new high in Virginia in 2016, generating $24 billion in travel spending. Lynchburg’s Economic Development Authority and the Office of Economic Development and Tourism have released the Fiscal Year 2017 Opportunity Lynchburg Annual Report. To read the full report, visit www.opportunitylynchburg.com. SafeSide Lynchburg, a new $5 million indoor gun range and store, is opening soon on Mayflower Drive, creating 25 new jobs. The 60,000-square-foot facility features 22 lanes with smart target technology in its first phase. It also has the largest tactical retail store in the area and offers classroom training. Some classes will include Basic Handgun Safety, Conceal Carry, Holster Draw and more. SafeSide will also offer memberships and rentals to customers. SafeSide’s original location is located in Roanoke. Foster Fuels has returned to the list of top suppliers for the Defense Logistics Agency after receiving its silver-level Superior Supplier Award. This makes the third consecutive year of DLA honors for Foster Fuels; the company received a gold award in 2014 and a bronze in 2015. For this designation, the DLA selected only 38 of its 150 parts and commodity suppliers who have conducted business with the agency over the past two years. Foster Fuels has been a vendor with the DLA since 2006 and works to deliver fuel to federal, civilian, and military locations throughout the United States. “Our military and federal civilians are the backbone of our community and country, and it is an honor to be able to serve them in this capacity,” said Will Rohrig, Vice-President of Foster Fuels’ Mission Critical Services. The Association of Chamber of Commerce Executives (ACCE) has designated Lynchburg Regional Alliance CEO Megan Lucas as a Certified Chamber Executive. She is one of nine chamber professionals to earn this distinction in 2017.
and development, membership and communication, and operations. CCE is recognized by many as the highest, and most elite, professional designation in the chamber of commerce profession. Upon receiving this designation, Lucas is in a prestigious category among the ACCE and the International Economic Developers Association. Currently there are 1,110 Certified Economic Developers worldwide, 500 Certified Chamber Executives and only 12 professionals have reached the distinguished pinnacle of both. The News, a weekly HVACR industry newsmagazine, has named Brandon Brown as one of its Top 40 Under 40. The owner of Brown’s Heating and Air started his company in 2006; it now includes 10 employees and does more than $1.5 million in business each year. AntWorks Healthcare has placed as the Leader on the FrontRunners quadrant for Electronic Healthcare Record software. FrontRunners is published on Software Advice, a trusted resource for software buyers, and powered by Gartner Methodology. Over 335 products were reviewed, and AntWorks Healthcare led in both the capability scores and the value scores. According to Software Advice, Leaders are all-around strong products. They offer a wide range of functionality to a wide range of customers. 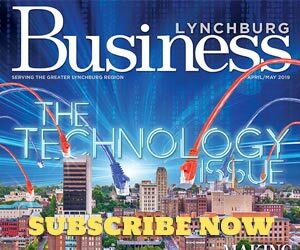 The Altavista-based MidAtlantic Printers is merging with Forbes Printing, of Lenoir, NC, effective September 1. Forbes Printing was founded in 1984 when Esley Forbes and Diana Bost purchased The Printing House and renamed it. Forbes primarily services accounts in Piedmont and Western NC. MidAtlantic was formed as Altavista Printing in 1910 and services the region between Charlotte and D.C. It is listed as one of the “Top 400” U.S. printers by Printing Impressions. For the first time in its 10-year history, Select Bank Financial Corporation and its wholly owned subsidiary, Select Bank, has declared its first cash dividend. The Board of Directors approved a cash dividend of $.10 per share on the company’s common stock. The cash dividend will be payable to shareholders of record as of September 25, 2017 and will be paid on or around October 25, 2017. “Our Board of Directors and executive management are proud of the bank’s performance and are pleased to reward and thank our longtime shareholders for their support. We believe the ability to return value to our shareholders is an indication of not only the bank’s financial strength but our positive outlook for the future,” said Chief Executive Officer J. Michael Thomas. Select Bank serves the Region 2000 area with locations in Lynchburg, Forest and Bedford. A BWXT team could play a role in landing humans on Mars. NASA has awarded the BWXT Nuclear Energy subsidiary an $18.8 million contract to initiate conceptual designs for a nuclear thermal propulsion reactor that would support a possible future manned mission to Mars. The reactor would be part of a nuclear thermal propulsion rocket engine designed to propel a spacecraft from the Earth’s orbit to Mars and back. BWXT’s reactor design is based on low enriched uranium fuel. Nuclear thermal power for spaceflight has a number of advantages over chemical-based designs, primarily providing higher efficiency and greater power density resulting in lower propulsion system weight. This would contribute to shorter travel times and lower exposure to cosmic radiation for astronauts. Work is already underway and is expected to continue through 2019. Approximately 15 BWXT employees in Lynchburg are contributing to the effort. Formally known as Mookie’s, customers of the Forest ice cream truck now see signage for Rookie’s instead. Over the summer, the owners of the business discovered that the Mookie’s trademark already belongs to another business across the country that also serves homemade ice cream sandwiches.